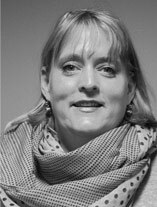 Christine Stegling joined the International Treatment Preparedness Coalition (ITPC) as its Executive Director on 1 May 2013. Prior to that, she was a senior advisor on human rights and GIPA (greater involvement of people living with HIV/AIDS) with the International HIV/AIDS Alliance (“the Alliance”) in Brighton, United Kingdom, as well as associate director of the Alliance’s HIV best practice unit. Prior to joining the Alliance in 2009, Christine worked in Botswana for 10 years, initially for the Ministry of Health, then as a lecturer at the University of Botswana, and for 8 years as the director of the Botswana Network on Ethics, Law and HIV/AIDS (BONELA). Christine was also a member of Botswana’s National AIDS Council and a member of the Botswana Country Coordinating Mechanism for the Global Fund to Fight AIDS, Tuberculosis and Malaria. She holds a bachelor’s degree in social anthropology from the University of Kent and a master’s degree in development studies from the University of London’s School of Oriental and African Studies.